Many of you know me as a Custom Gift Basket maker or as a Wedding Planner/Event Designer. What many of you don’t know is that I love to cook and started my adult life wanting to be a chef. With that being said, I’m very critical when it comes to helping my brides choose their wedding cakes. I’m a HUGE fan of it being beautiful because we eat with our eyes first. But, what good is it if it doesn’t taste good?! It should taste better than it looks!! Kim K’s wedding cake is said to have cost $10K! Now, I don’t know about you, but I definitely wouldn’t want to pay that much money for something I didn’t taste good. Not. At. All! 1. Schedule a tasting! All bakers should have a schedule in which you can come in and sample their flavors and view their work. The cake should be moist and stick to the bottom of the fork. Period! 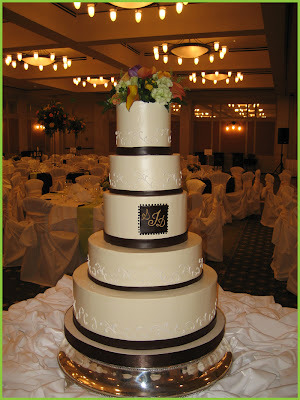 I know that a wedding cake has to be made days in advance because of its size and the intricacy of details but there are methods that can be used to maintain its moisture. Don’t be afraid to ask questions and take notes. 2. Review their portfolio. 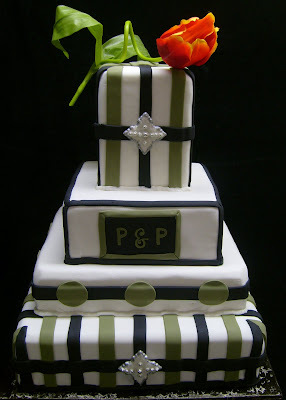 It should have a selection that ranges from low prices to high and from simply designed cakes to more intricate ones. This will allow you to see if what you want may be possible and in a range of skill set. Again, don’t be afraid to ask questions. 3. 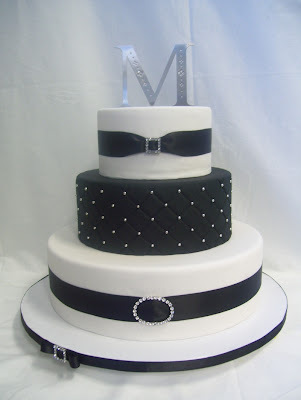 Wedding cake is priced by the slice, not the tier. Prices typically starts at $1.50 per slice and can really go up to $15, depending on the flavors, fillings, icing, and decorations you’ve chosen. 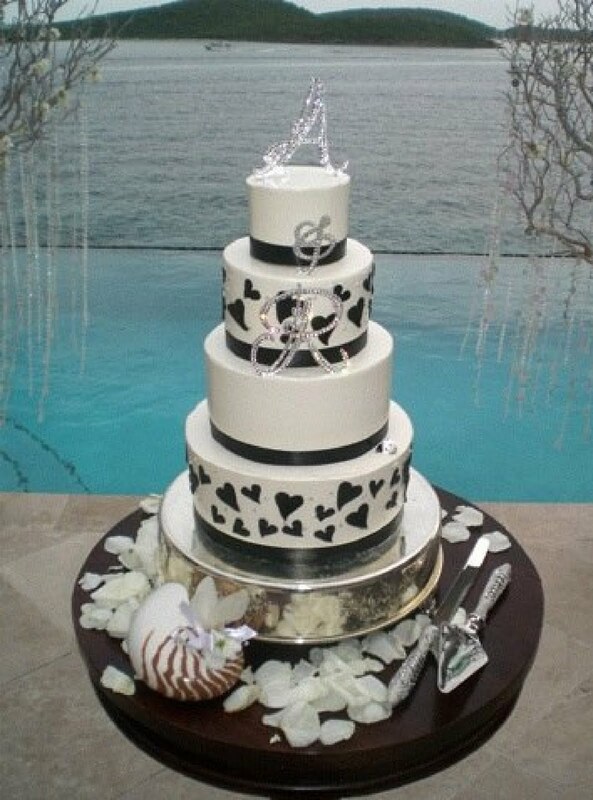 Fondant is more expensive than buttercream icing but also looks cleaner and holds up better in the heat if you're planning to have an outdoor wedding. So, keep all of these things in mind when ordering your cake. 4. Consider your venue when choosing the size of your wedding cake. Is it a grand venue with high ceilings? 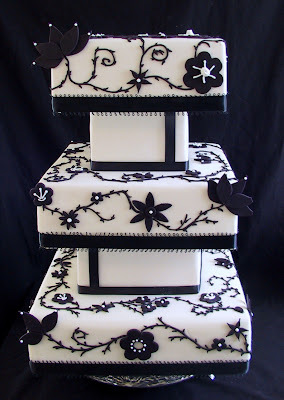 Then a cake with more height and space between the tiers may be better. If it’s a smaller room, then a stacked cake may be best. 5. When selecting the flavor, of course you want to choose a flavor you like, or even love. If you’re choosing a flavor that may be not so popular, like Key Lime or Banana, then you may want to use it on a smaller tier so your guests can try it, but it doesn’t go to waste because they didn’t love it as much as you did. Remember, you paid per slice! 6. Get the groom involved! A grooms cake is a great way to incorporate his interests into the wedding and your guests love to find out that little bit of information that tells them more about you and him. This shows his personality and also a little extra dessert. 7. Lastly, Event Insurance. I know it’s not something that we talk of often but worth mentioning. It costs very little but covers a lot, and covers more than just a wedding cake! It covers vendors not showing up or not delivering as promised, you recouping deposits if your wedding has to be postponed due to extreme circumstances, and even damages to your wedding gown! Look into before your wedding day.